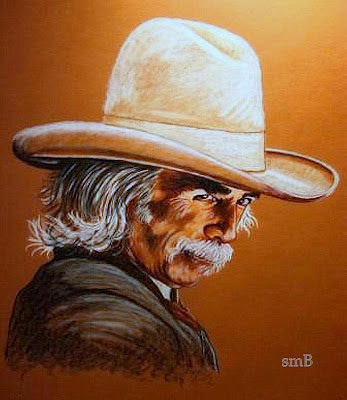 WELL HOW COULD WE START OUT WITH ANYTHING BETTER THEN A WONDERFUL PAINTING OF "SAM ELLIOTT...by SUSAN BERGSTROM.....SO GORGEOUS!!! HER COUNTRY ART...NEVADA COWGIRL AND HER HORSES. PORFOLIO...SO UNQUIE..OH AND SAM ELLIOTT IS ONE OF MY MOST FAVORITE ACTORS.